Aspen Tree, your leaves glance white into the dark. My mother’s hair was never white. Dandelion, so green is the Ukraine. My yellow-haired mother did not come home. Round star, you wind the golden loop. My mother’s heart was ripped by lead. The yellow is the sun of the green; the white is the sun of the night. The semantic opposition between the motif of the Aspen tree glance-whiteness of the night (when life reflects eternity) and life motif carried by the image of yellow-haired mother starts with the first two-lined stanza of the poem. Aspen tree, then, “personifies” the “normal” position of nature towards either “inanimate” non-life of the cosmic space or the theological havens – an attempt to be a reflection of a metaphysical whitishness of the “other world” and by this to admit its own son-hood and recognize the parenthood of super-earthly existence. In this historically basic situation, life worships non-life. But some of us who are too much in love with life, try to ignore the super-life aspect of the universe, and this emotional ignorance about death shapes the specificity of our humanness. 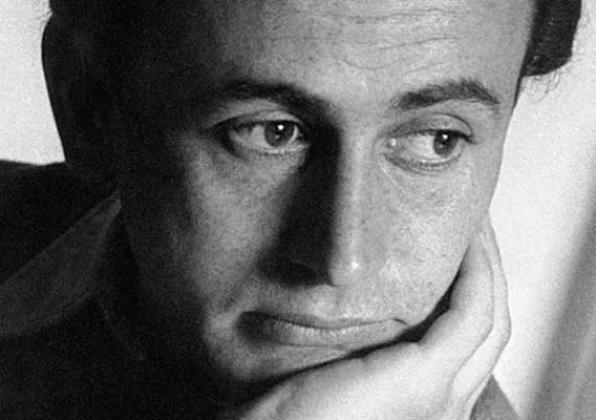 The trauma of losing people dear to us awakens us to non-being, and this can make us more humane, if we, like the lyrical hero of Celan’s poem are able to learn not only from survival but from life. The second stanza “unites” the greenness of the Ukraine, yellowness of dandelion and yellow-haired mother into a symphony of the living, and only on the level of the content – in mentioning that the mother didn’t come home, the poem continues its path of emphasizing contradiction between life and non-life as violent death, and contradiction between two positions of life towards non- or super-life (signified by Aspen tree and dandelion correspondingly). The third stanza prepares us for the reversal of the opposition between the images of life (conformist – Aspen Tree, or metaphorizing the fragility and victimization of life – dandelion, green, yellow-haired mother). By the image of the rain cloud hovering over the well Celan creates the first image of a sacrificed humanity projecting itself (in the form of suffering and tears) into the world. It is, as if, the well dried of grief became rain cloud, not another way around when rain pours down on earth. The second line of the third stanza – “My quiet mother weeps for everyone”, provides the semantic key to the first line. It is, as if, mother’s death makes the well offer extra-tears to the cloud to weep instead of her. The spiritual energy is going not from the sky down, like with Aspen Tree, with its leaves glancing white (reflecting the starry whitishness), but going from the earth (from the well to the cloud) to the sky, from life to non-life, from human life to non-or super-life. In the next, the fourth stanza, projection of spiritual energy from earth to space is much more radical. In the first line: “Round star, you wind the golden loop” a miracle takes place – the whitish star got the golden loop. The contradiction between life and non-life coded by Celan’s intuition into contradiction between the yellow, the color of life and the whitish of the starry night is resolved in the poetic victory of the human life over the night’s darkness and glance-ness (where yellow is lost between dark and white), life over non-being or eternity. The second line of the fourth stanza explains – “My mother’s heart was ripped by lead”: the mother now is on the round star. It is her blond hair gives the golden loop to the round star. It’s the grief of the poem’s subject of the annunciated creates the perception of the golden loop of the round star, the feeling that this star is “humanized” – carrying something from human life, from human emotions. The round star became a symbol of human suffering and human love. We observe in Celan’s poem the same logic, albeit humanistically radicalized, that created God, Christ and the Heavens “above” the sky and populated the cosmic space with aesthetically idealized human emotions. In the last stance we meet another miracle – that of a disappeared oaken door, which on the level of the surface structure looks a bit fairy-talish: “Oaken door, who lifted you off your hinges?” But the rhetorical nature of this exclamation is made so apparent that it is the continuing vigil of the son waiting for his mother day and night (even if knowledge of her death has already reached him) keeps the door to the outside world not only opened but not needed. This disappearance of the door to the night – to the stars, to the round star with golden loop, is not only the (human) emotional openness to the cosmos, it is a mutation in human spiritual development, coming to a spiritual maturity, initiated by the immense psychological trauma of losing one’s mother through violent death. The protagonist (helped by the poet) came from a benign symbiosis with yellow-haired mother, with green of life producing its own sun – dandelion, through losing this existential womb and almost broken by grief (in all five stanzas the second lines are repetitions of the words of grief as one prolonged ritual of weeping) to new life embracing the cosmos as a primordial womb, cosmos populated by the warmth of human grief. The poem describes a rare situation when serious psychological trauma has been surmounted with the help of the art of poetry and even promotes the protagonist’s spiritual maturation – the ability to live in a world where the dearest one is taken away by humans (obsessed with self-aggrandizement, violence and cruelty), and be able to live with the galaxies as with close friends. The semantic development of the images depicting spiritual transformation, from stanza to stanza, can be summarized in the following way: 1. The first line of the first stanza is a depiction of a conformist “imitation” of a soulless cosmos or theological heavens. 2. The first line of the second stanza – depiction of innocent joy of life. 3. The first line of the third stanza – depiction of human and nature’s grief over the lost life. 4. The first line of the fourth stanza – depiction of life’s poetic reincarnation from earthly existence to the round star (humanization of the star). 5. The first line of the fifth stanza – establishing intimate relationship with the larger world (according to spiritually a more mature paradigm). I only just stumbled upon this – an excellent analysis. I’m used to finding discussion of Celan’s Death Fugue on the Internet; finding something not-Death Fugue was a surprise and a real pleasure. Thank you for sharing.